Professional Supplement Center now offers Organic Mushroom Nutrition (OM™), a line of certified organic medicinal mushroom powders. 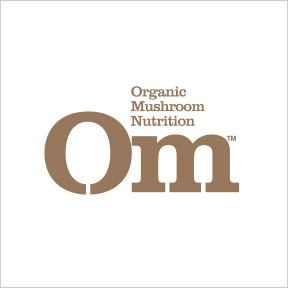 Grown, packaged and processed in a GMP state-of the art facility located in San Marcos, California, OM™ emphasizes the pure, whole-food organic nature of medicinal mushrooms that have been used traditionally for centuries to enhance overall wellbeing. The mushrooms are grown through a full spectrum lifecycle including myceliated biomass and fruit bodies, and are carefully dehydrated at low temperatures to retain all enzymatic activity of the naturally occurring bioactive compounds. Founders Steve Farrar, an expert mycologist with 30 years of mushroom horticulture experience, and Sandra Carter, M.A., MPH, Ph.D., believe they have combined the perfect balance of ancient wisdom and modern methodology, ensuring that their well-respected medicinal mushroom products are efficacious and of the highest quality. The full line features whole, raw food, gluten free, Non-GMO, kosher, vegan ingredients, as well as naturally occurring antioxidants, amino acids, prebiotics, chelated minerals, dietary fiber and vitamin D.
Immune: This proprietary blend of seven unique species of organic mushrooms synergistically supports immune defense with beta glucans, digestive enzymes, fiber, prebiotics, antioxidants and other nutrients. Mushroom species include turkey tail, maitake, shitake, cordyceps and reishi. Restore: Formulated for detoxification, recovery and energy replenishment, this dynamic blend of organic mushrooms supports a positive inflammation response and provides immune support. Perfect after a strenuous workout or when in need of a refreshing boost. Ingredients include king trumpet, cordyceps, and reishi organic mushrooms. Fit: This proprietary blend supports natural energy production, endurance training, and recovery by increasing oxygen delivery to supercharge muscles. Species include cordyceps, reishi, turkey tail, king trumpet, and maitake. Beauty: This certified organic proprietary blend provides naturally occurring nutrients and antioxidants to nourish the body from the inside out, resulting in lustrous hair, glowing skin and strong nails. Nutrients include king trumpet, turkey tail, cordyceps reishi, and lion’s mane medicinal mushrooms. Energy: This healthy, low calorie, sugar-free energizing drink mix provides intelligent sustained energy with six powerful synergistic organic medicinal mushrooms, botanicals, and natural plant-based caffeine. Ingredients include cordyceps, reishi, turkey tail, king trumpet, and maitake mushrooms, as well as turmeric root powder and organic extracts of guarana and yerba mate.